The Florida law firm of Brannon & Brannon is proud to offer responsive and aggressive legal counsel to personal injury clients in the Fort Walton Beach area, including Okaloosa, Walton, and Santa Rosa County. When you choose our father-son team of lawyers to represent you, you can count on being treated with the courtesy and respect you deserve. Your calls will be returned promptly and your case will be given the necessary attention. Our exceptional lawyers and staff strive to obtain fair and reasonable results for individuals who have been injured in car accidents or injured as a result of someone’s negligent conduct. We are a close-knit legal team dedicated to obtaining favorable results in an ethical way. We understand the pain and frustration that often follows an accident. We are well versed in insurance law and know what resources are available to you, which, in turn, allows you to reduce financial burdens and concentrate on healing. In most personal injury cases, victims are entitled to recover money for lost wages, lost earning capacity, medical expenses, pain and suffering and other damages. 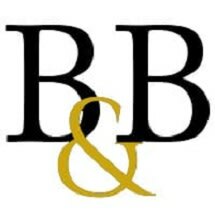 Brannon & Brannon offers free initial consultations. Call us today.